These earrings are a unique twist on the classic hoops. 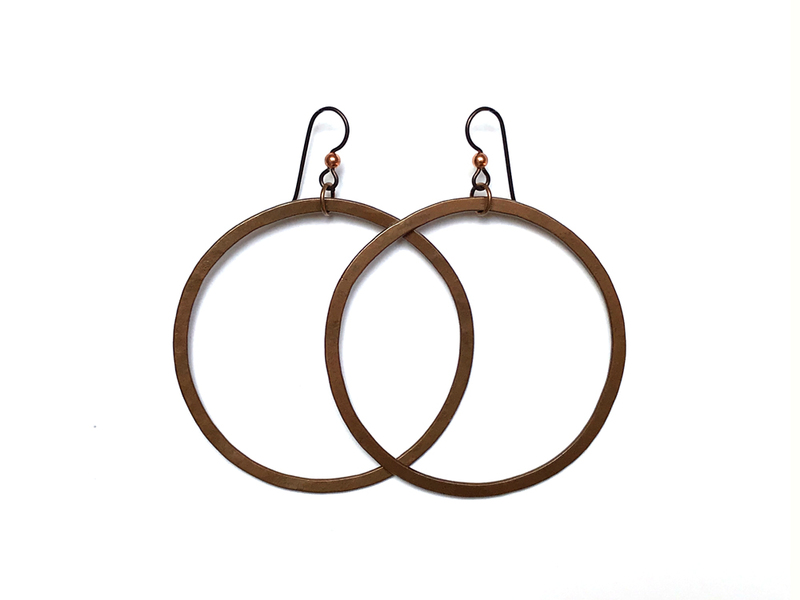 They are an earthy copper with a rustic patina to darken the metal which has been hammered flat. The slightly irregular roundness from the hammering also lends itself to a truly handmade and rustic feel. Approximately 2.25″ from bottom of earwire.